Adds numerous vernaculars including Maithili, Santhali, Dogri, Konkani, Bodo, Kashmiri, and Manipuri alongside others. Enabling more Indians to make their digital transition seamlessly, Facemoji, now supports over 200 international and regional languages. These languages include multiple Indian vernaculars such as Maithili, Santhali, Dogri, Konkani, Bodo, Kashmiri, and Assamese amongst others. Though English is included as part of the academic curriculum in India, only about 2.59 lakh people identify it as their mother tongue according to the 2011 census. Moreover, only 12% of the national population are familiar with English. A Google-KPMG India report released last year indicates that nine out of ten new internet users between 2016 and 2021 are going to be non-English speaking individuals. By 2021, as per the report, native language users will account for about 75% of the national internet base. Facemoji has now included all 22 Scheduled Indian Languages within its keyboard input application. The technology player is also working closely with regional institutions to improve its dialect accuracy for vernaculars. Doing so simultaneously allows it to suggest emojis, GIFs, and stickers to its users that are relevant to their conversation. 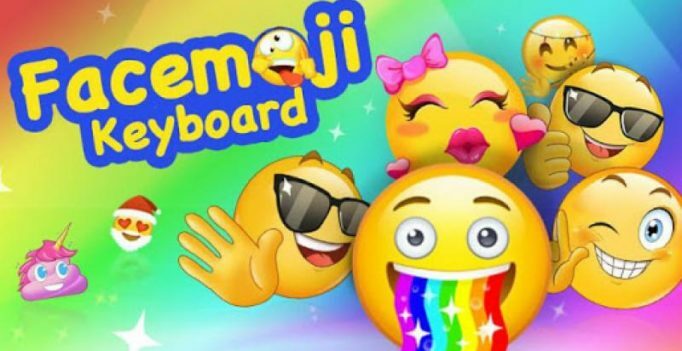 Facemoji is a keyboard input application that enables its users to jazz up their conversation with over 1,200 contextual emojis, more than 1,000 stickers, and thousands of GIFs. The application also creates personalized avatars of its users by leveraging AR (Augmented Reality) technology. All a person needs to do is click a photo or shoot a short video, use its rib-tickling filters, and convert them into Face Emojis. Facemoji is expected to cross the 100 million mark by the end of 2018. The app can also be used as a game keyboard in multiple gaming applications such as Clash of Clans, Rules of Survival, Free Fire, Mobile Legends: Bang Bang, and Garena Liên Quân Mobile. Kangana Ranaut, Shah Rukh Khan and others - the daredevils of Bollywood!